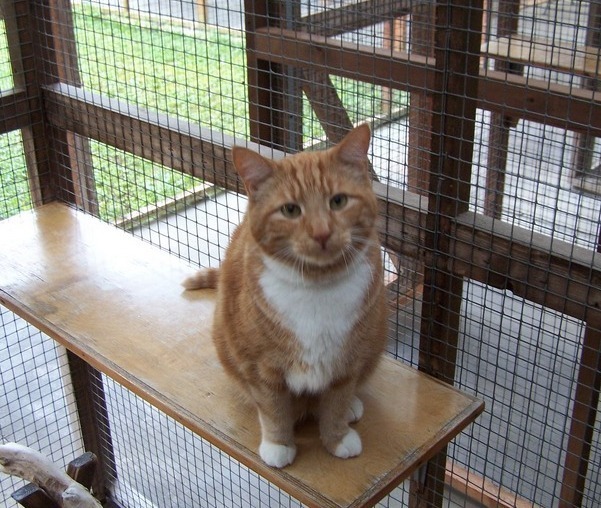 It's not too late - we have Easter vacancies for your cat! Plenty of Summer Holidays vacancies too! Call 01980 621066 or email stonehengecats@aol.com to check the dates you need. We're looking forward to hearing from you, and ready to answer any questions. We like visitors, so feel free to arrange to come and check out our facilities. Stonehenge Cats Hotel is a large, well-established boarding cattery in Orcheston, Wiltshire, not far from Stonehenge. The cattery has a great reputation and is easily reached from Salisbury, Devizes, Durrington, Larkhill, Amesbury, Shrewton, Chitterne, Tilshead, Netheravon, Upavon, Pewsey, Ludgershall, Westbury, Tidworth, Warminster, Wilton, Trowbridge, etc. In our time we've had customers from Andover, Bath, Southampton, even London. The Stonehenge Cats' Hotel was one of the first boarding catteries in the UK. It was founded nearly 50 years ago by Sophie Hamilton-Moore, one of the co-founders of the Feline Advisory Bureau (now known as International Cat Care). The plans of our cattery are still used as a basis for the design of new catteries! The Proprietor is Jack Graham, who has been running the establishment for 11 years, assisted by Sally Franklin, co-author of the Feline Advisory Bureau Boarding Cattery Manual. Cats stay in secure, comfortable chalets with efficient thermostat-controlled heating in the interior section. The 'outdoor' area of each chalet, while still securely contained, is open to the outside air. The cats have nice view of our garden, and can watch the birds on our many bird feeders. They can smell the grass and feel the wind in their fur. The sunshine pours in during summer and cats can bask in it. The exterior runs have scratching posts, shelves, sit-boxes and toys to play with. Each chalet is seperated from every other chalet from a 2ft 'sneeze-gap', staff follow sanitary procedures, chalets are disinfected between cats, and every cat in residence must be fully vaccinated, so no nasty bugs can ever be passed around. 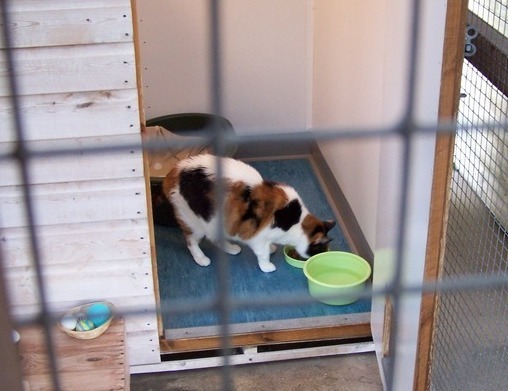 The entire cattery is securely enclosed with a 'safety passage', is always locked when not open and is never left entirely unsupervised - making it very safe indeed. SCH is listed with International Cat Care, subject to regular inspections. SCH is licenced by Wiltshire Council and is inspected annually. The Cattery is fully insured and conforms to all safety regulations including regular checks on fire extinguishers and all electrical equipment. Certificates displayed. Please see our Testimonials page and read what our customers have to say. If you have any questions that are not answered by this site, please contact us directly. We'll be pleased to hear from you.